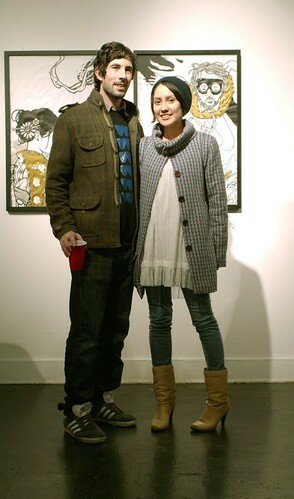 Jeffrey Eddy and Elvia Carreon at BLVD Gallery. have a look to my concept and tell my what you think about. can you get me in touch with elvia somehow? i am a freelance writer living in los angeles and am looking for stylish people for a piece i'm writing for a new print mag based out of seattle. thanks!